The SGA, with its industry leading performance, is available for customers requiring simple front panel analog controls or external control. With the same high performance power electronics as the SGI, the SGA provides essential features like 10- turn potentiometers for setting voltage and current, 3 ½ digit LED readout plus front panel over-voltage protection (OVP) preview/adjustment and reset. 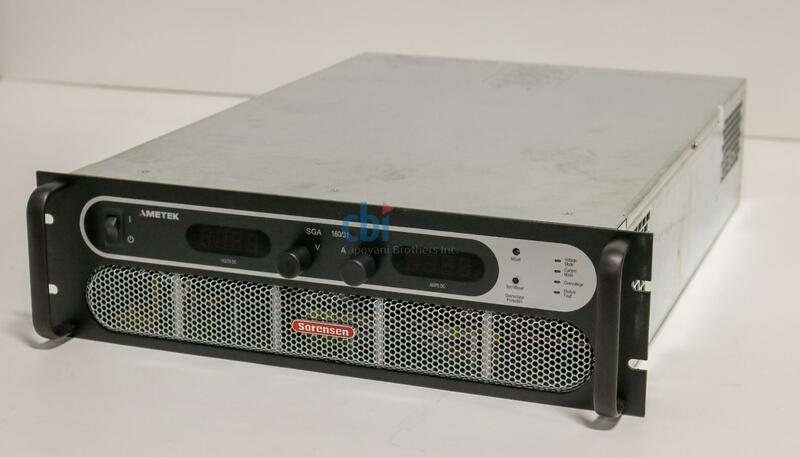 In addition to this Sorensen SGA160X31D-0AAAAR, Capovani Brothers Inc stocks a wide range of used dc power supplies. Typical manufacturers include Agilent, Copley Controls, Electronic Measurements Inc., Hewlett Packard, Kepco, Lambda, Power Ten Inc., and Sorensen.